I was chatting with one of our guild members, Irene J, today about the first time we made this sort of star. MY pattern from yesteryear is dated 1980. It is obviously typed on a typewriter and photocopies. We both remembered NOT HAVING A ROTARY CUTTER to use–gasp! We had to cut all of the squares with cardboard templates, using scissors. 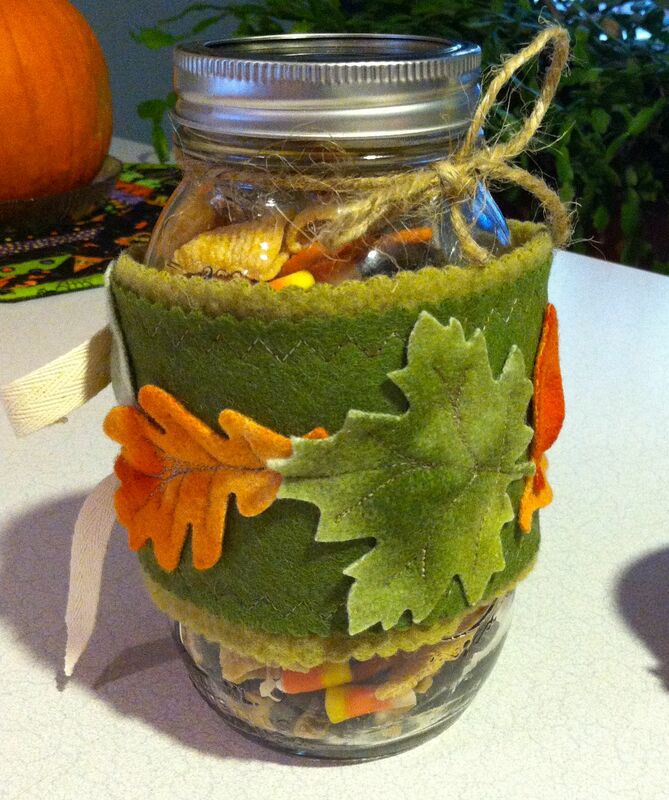 Here’s a pattern link for a quick pin caddy. I like the idea of repurposing bits of tattered or stained embroideries. I picked up a bag of such at the end of the day at a garage sale to save them from the trash bin. This would be a good way to give them new lives; perhaps at our quilt show boutique they could find new homes. 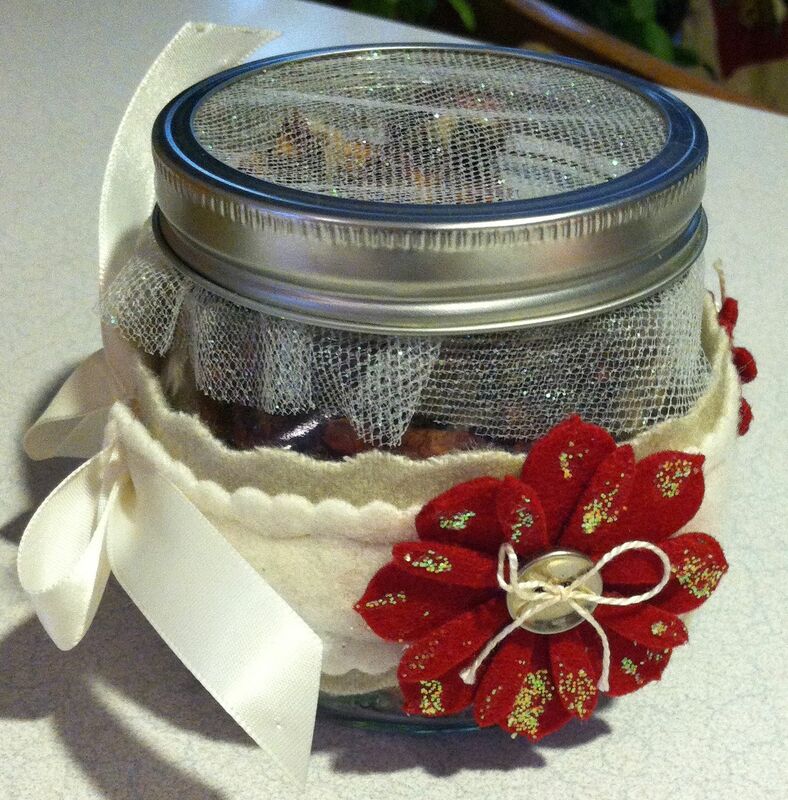 This too would be a nice small giftie for sewing buddies at the holidays. Can’t hurt to have a few yourself in your various project bags. Click here. Do you remember the pre-rotary cutter days of quilting? Did you ever make one of those stars? We surely can mention and support the guilds around us. The show is at the Kenan Center ladies. Always a great show. oh I remember a wonderful day spent with my quilting buddies (some of them you know…like Martha and Ann…) making Christmas ornaments using this technique! We made quite a few and I continued making them after for some years, to give as presents. I just might go back to that this year!! 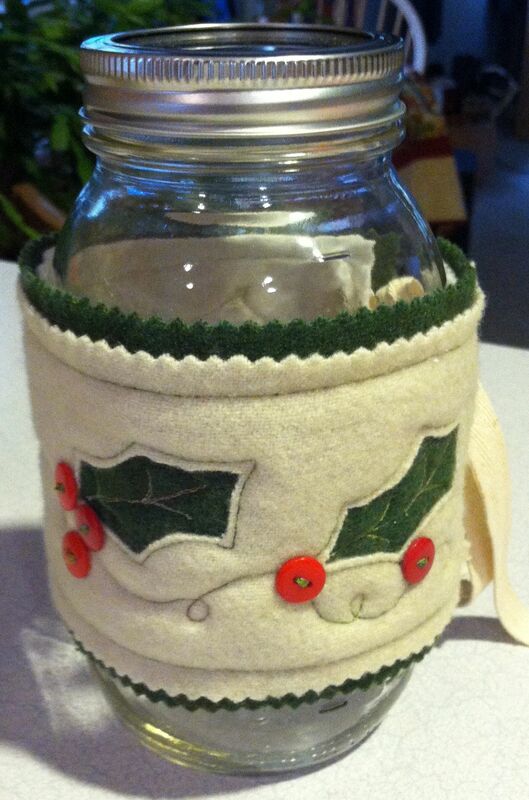 LOVE your re-purposed canning jars Mary Ellen! I like that program idea of a guild garage sale. Any program suggestions are always welcome. Thank you.